Nokia today announced the launch of NFC enabled Bluetooth Stereo headset Nokia Luna in India. 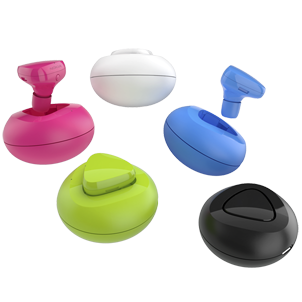 Nokia Luna features an eye catching design and variety of bright colours which is compatible with any Bluetooth mobile handset and is priced at Rs. 4530. Nokia Luna is tiny, weighs only 5 grams and comes with extra battery life, offering up to sixty days of standby and eight hours of talk time. It also features voice prompts to alert the user of battery life and walk them through pairing with a non-NFC phone. It can be easily paired with a NFC enabled Nokia smartphone by just tapping the two devices together to share content the advanced multipoint technology in Nokia Luna allows users to pair up to two phones at the same time. Nokia Luna offers up to 8 hours of extended talk time and up to 2 months of standby time when stored in the holder (2 hour with the headset, 6 hour in the holder).